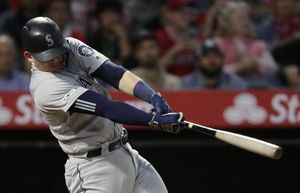 The 23-year-old outfielder was playing stellar baseball for Class AAA Tacoma after being acquired by the Mariners in a trade with the Yankees for Dustin Ackley. BOSTON — With the September 1 roster expansion just over two weeks away, Ramon Flores seemed like a certain candidate to join the Mariners for the final month of the season. Flores was tearing up the Pacific Coast League at the plate. In 14 games, he had hit safely in 12 of the games, posting a .423 batting average (22 for 52) with a .524 on-base percentage and a .654 slugging percentage, including six doubles, two homers and seven RBI with 12 walks. But it all came to an end Friday night at a wet and soggy Cheney Stadium. 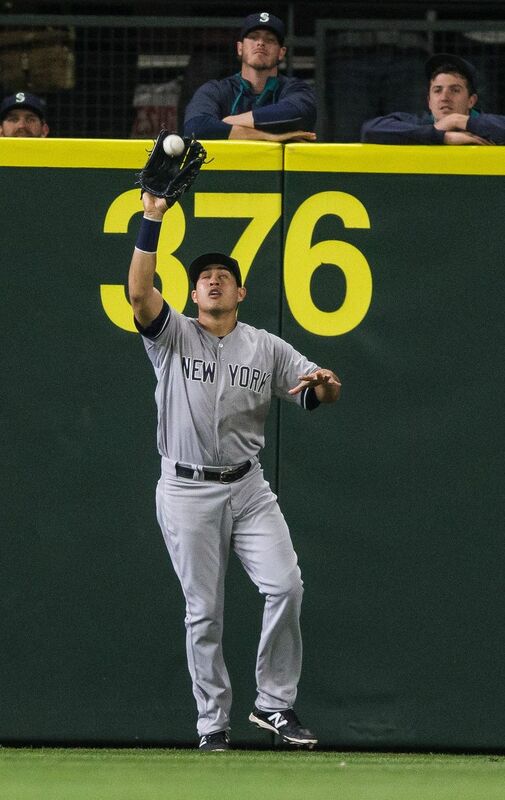 Flores was chasing down a ball hit into the gap that had bounced off the wall. As he pursued the extra-base hit, his right ankle buckled on the turf and he collapsed in agony. There was no contact with the wall. Mariners director of player development Chris Gwynn said that Flores suffered a fracture and ankle dislocation. Mariners manager Lloyd McClendon said that it was a compound fracture, meaning the bone broke through the skin. “It’s pretty serious,” Gwynn said. Flores will likely need surgery and is out indefinitely. First baseman Ji-Man Choi suffered a similar injury during spring training and just returned to game action in a rehab assignment in the Arizona Rookie League. It’s possible that Flores won’t be ready before spring training and could start next season on the disabled list. Next season could be a defining one for Flores since he’s out of minor-league options and would have to make the Mariners’ opening-day roster or be designated for assignment. With Flores done for the season, it could open up another opportunity for another player to be a September call-up. They must be on the 40-man roster to be eligible. He’s already spent a handful of games with the Mariners at the major-league level after being acquired from the Yankees. He didn’t appear in any of them, but has 11 games of big-league experience with New York. With a fastball that touches 98 mph, he will be added for bullpen depth as an early audition for next season. He may get called up sooner if he actually starts pitching better. With Taijuan Walker and Mike Montgomery likely to run into inning limits in September, Elias could move back into the rotation. He might have been back already, but his 7.91 ERA in his last eight starts in Tacoma has not pleased the Mariners. After shoulder issues kept him out of spring training and early-season play, he’s been a solid and versatile pitcher for Tacoma, posting a 3.55 ERA in 18 relief appearances and two starts. In 33 innings, he’s struck out 34 batters. He’s been one of Tacoma’s more productive hitters this season, posting a .301 batting average with an .837 OPS that includes 32 doubles, four triples, 14 home runs and 72 RBI. But a glut of outfielders might keep him at home. 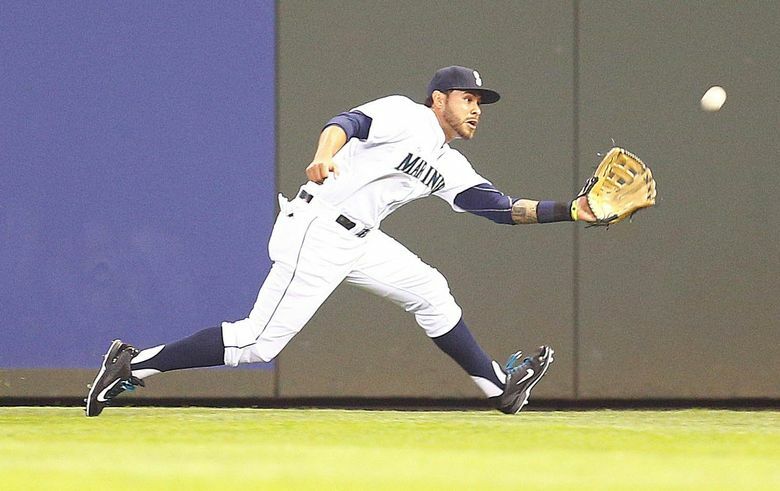 He was a September call-up last season and proved to be useful as a pinch runner and defensive replacement in the outfield. Jones could be asked to fill that role and more this season. Since Austin Jackson is a free agent and unlikely to be back, the Mariners may give Jones some more games in center field to see how he’s progressed from last season. He’s hitting .258 with a .384 on-base percentage and 21 stolen bases for the Rainiers. The only other catcher on the 40-man roster, Hicks has had a decent season with Tacoma, hitting .234 with a .642 OPS, including 14 doubles, a triple, five homers and 34 RBI in 75 games. With Mike Zunino being overworked and Jesus Sucre a back-up option at best, the Mariners could use September to get Hicks experience with complex preparation for a major-league game while working with the big-league pitching staff. In his last 22 games since his return, he’s hitting .302 with seven doubles, 10 homers and 26 RBI with 11 walks and six stolen bases. His overall season numbers are strong. He leads the league with 26 home runs and is hitting .256 with an .841 OPS. Strikeouts are still an issue for the muscular outfielder. He’s fanned 111 times in 342 at-bats with just 22 walks. 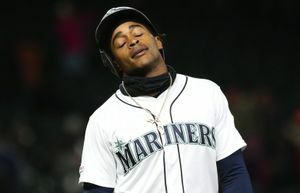 Still, the Mariners love his intensity on the field, though they weren’t happy when he missed three months last season after breaking his hand following a strikeout. They also love his commitment to conditioning in the offseason. His father was a former Mr. Canada bodybuilder, and O’Neill looks like a smaller version of a body builder. • There are plenty of bad teams in the minor leagues, but Class A Clinton (37-79) is angling for the title as the worst of the bunch. They are 42 games under .500 and there seems to be no sign of improvement. In fact, they might be getting worse. In the second half of its split Class A season, Clinton is 11-36. The LumberKings won back-to-back games on Aug. 12-13, the first time they did that since July 7-8. They’ve had losing streaks of 15 games and 11 games. Clinton has the second-worst pitching in the Midwest League, posting a 5.04 ERA. • If you look at Class A Everett’s box score, the name Jackson figures prominently in the production. But it’s not last year’s top draft pick Alex Jackson. No, it’s shortstop Drew Jackson, who was taken out of Stanford in the fifth round of this year’s draft. Drew Jackson came into Saturday with a 19-game hitting streak 14 of them multi-hit games. He’s hitting .519 with six doubles, a triple, two homers, 14 RBI, 11 walks and 20 stolen bases in that span.